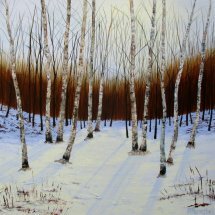 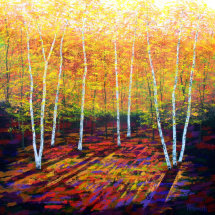 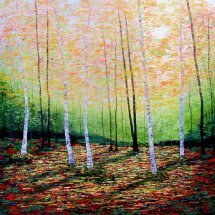 "Copper Glade" captures the warm tones of birch trees in Autumn. 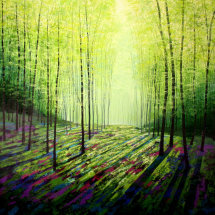 Golden light filters through beautiful leaves creating dappled shadows and glowing colours. 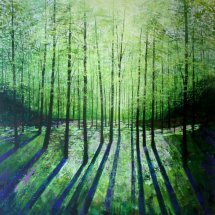 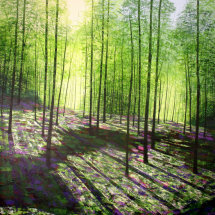 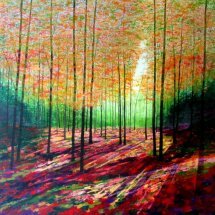 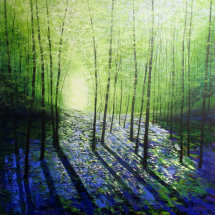 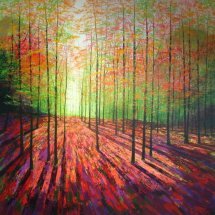 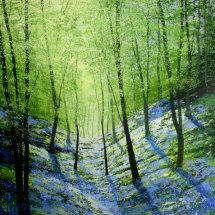 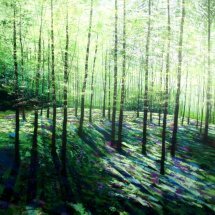 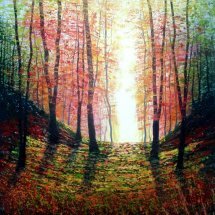 The most beautiful time in the woods is when bright sunlight filters through the trees creating dramatic shadows and the colours are at their most vibrant. 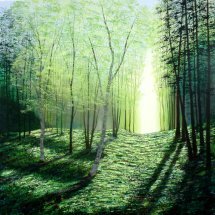 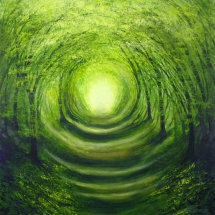 In this painting a narrative is formed by the light appearing from one source at the far end of the wood where the trees are parted. 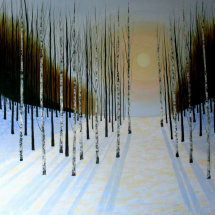 As the viewer of the painting you feel that you could walk towards the distance. 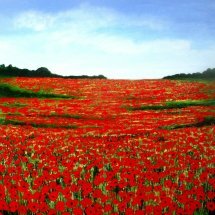 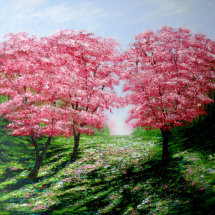 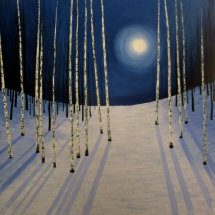 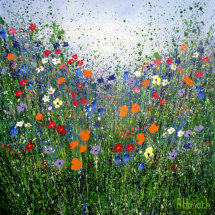 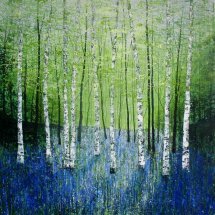 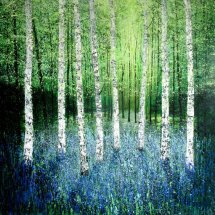 Can be seen at the Wey Gallery, Surrey.